Posted in DENOVALI SWINGFEST 2011 QUARTETT, Serie on September 3rd, 2011 by D.K. Als The Kilimanjaro Darkjazz Ensemble samt Alterego The Mount Fuji Doomjazz Corporation letztes Jahr den ersten Abend des Denovali Swingfest abgeschlossen haben, war das schon ein sehr magisches Erlebnis. Es war schon sehr sehr spät und die meisten Gäste waren vom Festivaltag erschöpft. Die wenigen, die noch geblieben waren, saßen und lagen im Raum verteilt und harrten der Dinge. Das Licht ging aus und von der minimal beleuchteten Bühne kroch der Düsterjazz dieser mysteriösen niederländischen Band durch die Reihen. Die perfekte Mischung aus dezenter Elektronik und klassischen Instrumentierung. Besonders die bedrohlich tief und langsam vorgetragenen Töne der Posaune gehen live extrem unter die Haut. Wir sind gespannt auf die diesjährigen Begebenheiten während des Auftrittes des Ensembles aus dem netten Nachbarland. Posted in DIE DENOVALI SWINGFEST BANDS 2010, INTERVIEWS on September 30th, 2010 by D.K. und M.H. 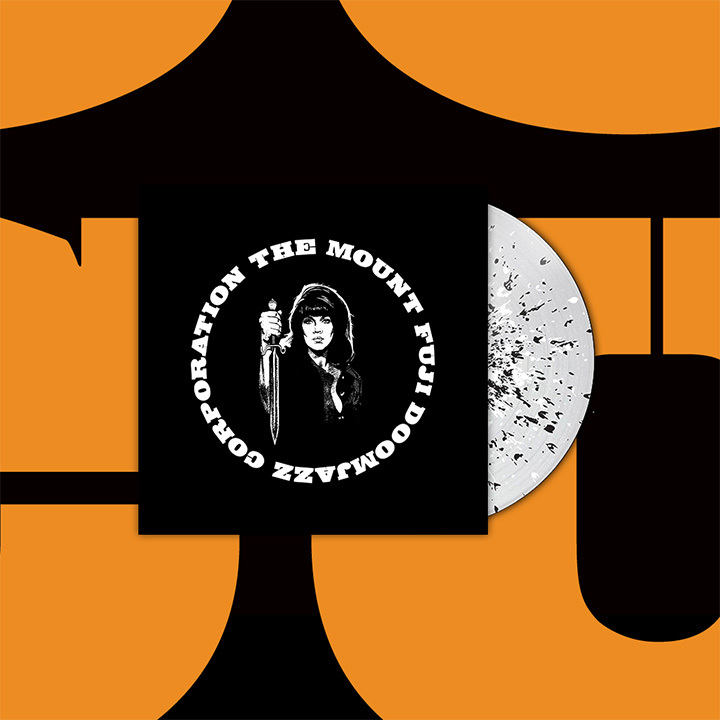 Die Düsterjazzer von The Kilimanjaro Darkjazz Ensemble schließen den ersten Abend vom Denovali Swingfest mit einem Doppelset ab, bei dem sie auch Songs ihres Improvisations-Alter-Ego-Projektes The Mount Fuji Doomjazz Corporation spielen werden. You are playing a double show as The Kilimanjaro Darkjazz Ensemble and The Mount Fuji Doom Jazz Corporation the first time ever at the Denovali Swingfest. How did you decide to do such a unique performance? Well, Denovali asked us if the joint performance was possible, as we will be releasing both projects on their label. And we thought it would be an interesting challenge to mix both sets together. Combining the improvisation sessions with the structured compositions. We are always open for doing something different. Denovali Records re-released “Succubus” on Vinyl and your “Self Titled” debut album is about to be re-released on vinyl, too. What took you so long to immortalize your songs on wax? Well the plans have been there for a while, its just never been a priority. I think finance might have been a bit of an issue as well, but we are really happy that Denovali is giving us the opportunity of re-releasing our music on vinyl in the best possible way. Would you like to tell us something about your musical and visual sources of inspiration? This could be a long answer, but I’m going to try and keep it brief. Its quite difficult pin pointing exact inspiration as all of us are so diverse in our musical tastes that there is no definite answer. This also goes for the music of TKDE as well. We’ve never sat down and said, lets make music sounding like this or like that, its been a natural process where we compose what feels/sounds right. So, this is where the visual sources have become an important part of our concept. Gideon and myself originally started re-editing and re-composing soundtracks for old silent classics when we worked together at a Multimedia company back in 1999 / 2000. Its then when we decided to create a project where we would compose music based on visual inspiration rather than being inspired by other music. Automatically the ‘new soundtracks’ we created had a dark jazzy feel because it moulded well with the films we were working on: Nosferatu and Metropolis. When it comes to our personal musical influences, well this basically is pretty far off from our sound. Also there are too many styles, genres and groups to name that we all listen too, so I wont even start writing them, you might need some extra pages for this! We have read that you appreciate the works of silent movie makers such as F. W. Murnau and Fritz Lang. How did this appreciation evolve and what are your favourite silent movies? Gideon and me both did Art School and focused on visuals, so its been part of our study and interest for a long time. I think silent movies , because of the limitations of their time, have an incredible charm; be it the innocence of the acting, the look/feel of the film grain, there just some kind of magical quality to these old films, it nowadays seems quite alien. You released an instrumental cover of the titletrack of the “Dark Night Of The Soul” project. Your version sounds way darker and more jazzy – like a reprise of the original version with vocals by David Lynch. What made you decide to pick up this song for a cover? We’ve always been fans of Lynch since day one. I think everyone who knows Lynch loves him for similar reasons. His imagery is really influential and inspirational. I bought the DNOTS book when it came out and was charmed by this track. It was basically just an impulsive thing to do. No deeper explanation to it unfortunately. Talking about David Lynch, for which of his movies would you like to write a score, if you had the chance? The Elephant Man. That question is too easy! Are there any future plans to write soundtracks for contemporary movies? If so, which genre would you prefer and which director would be your favourite to work with? We would love to work with the Quay Brothers, also Lars Von Trier. This is maybe too much daydreaming, but basically working on any score would be tremendous. We’ve never been approached for a score unfortunately. What’s up next? You are writing new songs for a The Kilimanjaro Darkjazz Ensemble release. Any plans for a new The Mount Fuji Doom Jazz Corporation recording session, too? The new TKDE album is in progress. We want to release it around February 2011, following the release with a European Tour. As for TMFDJC we have 2 releases planned. They should be released in December and February respectively.